It's heartwarming to see bands going to this level of detail with their self-released albums. 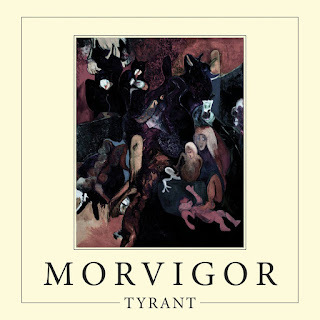 In the case of Alkmaar (NED) melodic death/black metal band Morvigor, their second full-length "Tyrant" arrived in a four-panel digipack-style card sleeve and features a booklet including artwork and lyrics. They've been a band for about seven years and released their debut full-length "A Tale Of Suffering" in 2014. This year's started pretty well for them too, as they played alongside Arkhon Infaustus in January and they're due to appear with the likes of Asphyx and Dark Tranquillity in Hengelo (NED) in March, at Metropool Metal Fest. It takes a few seconds for the Intro of “Tyrant” to begin, yet its anticipation that fills the gaps when the ambient sounds fade away. The first song proper is No Repentance. 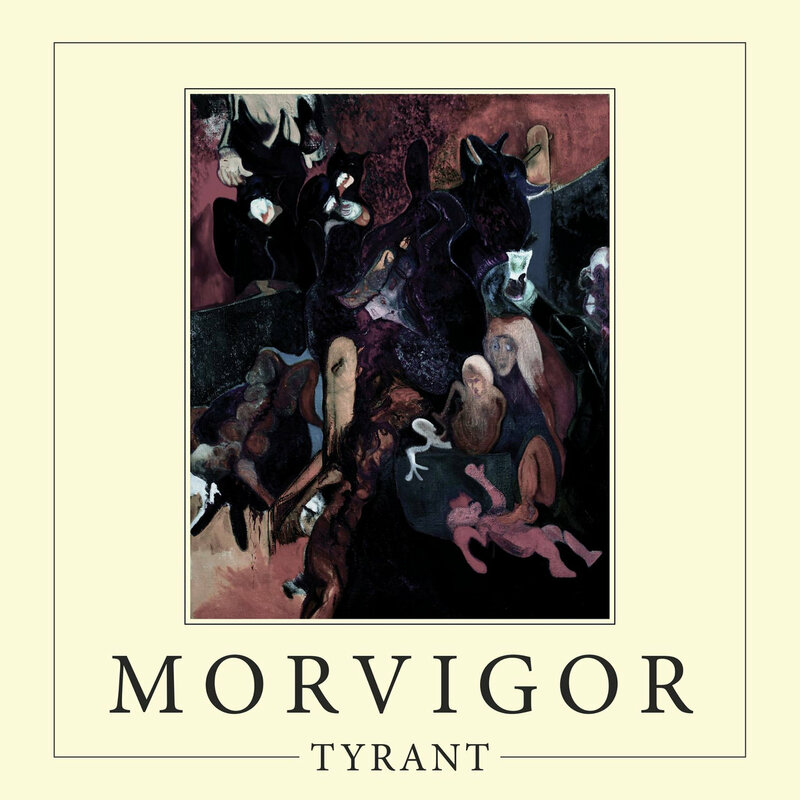 There’s a traditional feel to Morvigor’s sound, until the riffs and screams kick in that is! They thrash and flail with a huge dose of both heavy and black metal. There’s also a hefty amount of melodic death going on, especially inside the guitar work and the semi-clean/harsh vocals mid-way through. The Martyr’s Ascension contains some strange guitar tuning during it’s opening bars, but when the full band kicks in it becomes very effective and takes on a new form. It’s here that you realise that Morvigor are more than just a death/black metal band and that they make use of a wider range of musical influences. Its pretty powerful and the kick-drums and rhythm section as a whole add to that power in the background. Later in the song it winds up being a full-on black metal assault full of blasts and shrieks that could have come from Satan himself. Aside from my cheesy description though, it is a really good listen. I’ve never really been a big fan of the Interlude as it tends to break up the momentum of a lot of albums. This one bridges the gap between the two longest songs on the record and the final few bars featuring the single guitar are very nice. Blood Of The Pelican follows and it’s a fifteen-minute plus leviathan. Its full of atmosphere and old-school worship, while Morvigor manages to avoid sounding dated or merely copyist. The production/mastering job certainly brings out the band’s impressive sound. It explodes into a huge black metal song with a grooving, almost-stoner feel to the instrumentation. It’s a clash of styles that, while subtle, work absolutely perfectly together and carries on throughout the song. The bass guitar riffs sound great and Morvigor excels at creating music that steers clear of the fire and brimstone approach of other black metal bands. Its sort of comforting really. Voices is another short song that features some strange electronic effects and samples. It’s kinda cool, especially when the feedback comes in and the sampled voices get louder. The album’s title-track leads on immediately afterwards and it takes you back to Morvigor’s thrashier sound. It’s impressive how much they can fit into a song, musically speaking. The solo in really strong and the clean vocals add another edge to it. It’s a rousing song that does borrow from folk metal in places. Mid-way through, the song dies out and after a brief pause you’re greeted with semi-improvisational guitar melodies that lead to a more sedate second half. At least that was what I thought anyway! There’s still time left for Morvigor to unleash one last twin-guitar fuelled attack. The piano of the Outro is a glorious way to end an album of twists and turns such as this. It’s been a really enjoyable listen from a band with plenty of promise. I reckon a lot of you will like this one.